HIFF is pleased to present NOW SHOWING, an exciting series of screenings that brings notable films currently in theaters to the Hamptons. Curated by HIFF, the series features acclaimed first-run art house, independent, and world cinema. 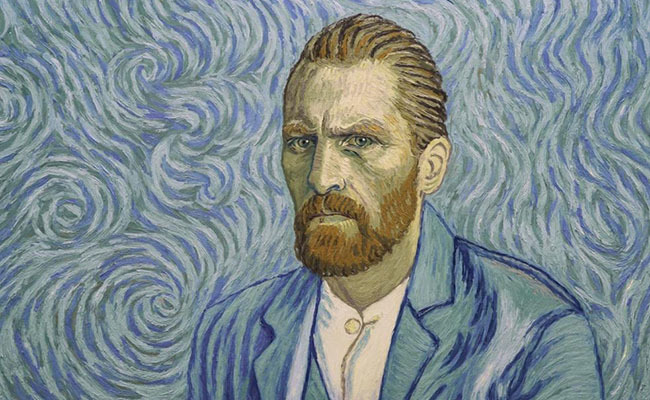 Friday, April 27 at 6pm, catch LOVING VINCENT, the 2017 biographical and animated painted drama about the life and death of Vincent van Gogh. Each of the film’s 65,000 frames is an oil painting on canvas created by a team of 115 painters who use the same technique as the famed artist. Written and directed by Dorota Kobiela and Hugh Welchman. Nominated for a Golden Globe® Award for Best Animated Motion Picture! “Hypnotic and beguiling…” A.O. Scott, The New York Times. LOVING VINCENT, the world’s first fully oil-painted feature film, brings the artwork of Vincent van Gogh to life in an exploration of the complicated life and controversial death of one of history’s most celebrated artists. More than six years in the making, with the help of 125 specially trained painters, LOVING VINCENT is a uniquely animated film composed of 65,000 painted frames. Drawn from meticulous research and inspired by van Gogh’s masterpieces, subjects, and 800 personal letters, LOVING VINCENT captures the world of van Gogh in a cinematic experience like no other.